I have known Katherine for a very long time, ever since she was an outstanding student in a course I was teaching. She is a thoughtful, sensitive, and highly intelligent clinician who works hard to understand people in all their unique complexity. Most important, she is able to connect with her patients in an empathic and deeply personal way. Katherine is an unusually skilled analyst. I have known her work as a colleague over many years, and I have consistently found her to be on target both with her diagnostic deductions and her treatment choices. She has a unique way of getting under the surface with people, even when their tendency is to hold back and avoid the most important issues. And her rich grasp of cultural and ethnic differences, plus her comprehensive literary and artistic awareness give her a sensitivity that very much enhances her ability to work with a great variety of people from different backgrounds and personal circumstances. I have had the pleasure when making referrals to her, of seeing the resulting success in the outcome, and that has underscored for me that she has maintained her level of expertise in this work. In short, this is the kind of therapist for whom one should look if you want to do good, rich work in treatment. I have known Katherine as a colleague for the 26 years that I have been a practicing psychoanalyst, and over this time I have gotten to know her work intimately. She has consistently proven herself to be an intelligent, compassionate and dedicated therapist, and she is one of the few clinicians to whom I feel comfortable referring patients. Katherine helped me focus on a particularly difficult ongoing situation in my life. With her support and insight, I managed to face up to this potentially life-changing decision and successfully implement the changes needed. I will be forever in her debt, as I am now very happy, and could not imagine how things would have turned out without my regular Monday morning sessions. I am a friend and colleague of Katherine’s for 20 years. I have referred to her, and the people I refer are glad to have found her. She is a warm, practical, and experienced clinician. She’s not in it to feel smart. She’s in it so you feel better. If you are struggling in your relationships, and want to partner, talk to Katherine. All you have to lose is your loneliness. 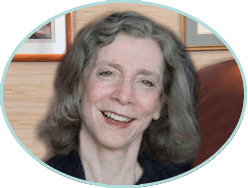 I am delighted to recommend Katherine Rabinowitz to anyone who is fortunate enough to have found her website. She is a highly trained and experienced professional. It is her blending of the analytic and the practical that promotes increased self-awareness and actionable change in her patients. Her keen intellect and great sense of humor are noteworthy as well. But it’s her deep core of caring and compassionate non-judgmental stance that comprise the bedrock of safety for you to allow yourself to change.